Living & working in Southampton I noticed majority of Indian restaurants & takeaways here were serving near identical dishes & nothing authentic that tasted from back home, in India. So I decided to open my first authentic Punjabi takeaway here to give the residents an experience in Punjabi food. My takeaway opened in 2008, this was the beginning of my journey. This was exciting times I couldn’t explain how I was feeling when the doors opened. But this was short lived by the end of the night the takeaway only served 1 customer…. now you probably know how I felt. Lots of things went through my mind but I was determined to carry on. As months went by the business started to build a regular client base, the customers enjoyed the different flavour & authentic taste compared to the existing restaurants around Southampton. As the word spread of our food we started to get enquiries to provide food for parties from single items, small family function to our first wedding catering. 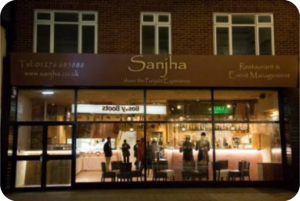 Due to the high demand for event catering, Sanjha Events Management Ltd was formed serving traditional Punjabi food to private and business events alike. To make it easier for our clients we also started look after all other aspects like Service Staff, Crockery and Venue Décor along with finger licking food to make your function a memorable one. Established for over 4 years, our customers insisted us to open a restaurant so that they could relax & enjoy the food. So our next step was to find a suitable place to open a restaurant. 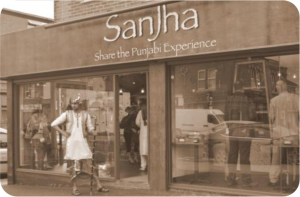 Sept 2012 was the opening of our first restaurant & it was next door to our takeaway, which was convenient for our customers as we still provided them with their favourite dishes while the restaurant was being created. The design in mind was to fit around our authentic food. 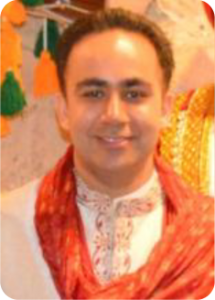 So we designed the restaurant to have the feel of the Punjab, the natural wood, traditional music, displays and lighting. Materials were imported from India to give that extra authentic look. At the same time our chefs were creating the look of the dishes to serve in our beautiful restaurant using some of the items imported from India to give that authentic look. What do you think? Enjoying the success of our restaurant for over 2 years and getting stronger every year, the decision was taken to expand (it’s a scary decision) but it has to be done to make the brand more recognised. So our first step was to find the right location. Having specific criteria for the next branch it took the best part of a year to find the right place and location. We found a perfect spot in Camberley, Surrey just off the high street with a big footfall due to the two malls around the premises. 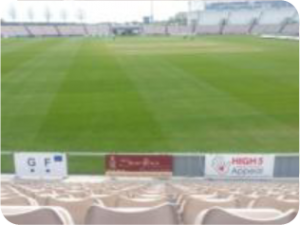 The papers were signed in May 2015 during that time we were contacted by The Ageas Bowl regarding taking over one of the food courts as they really like our food and thought it would go well there. This was an opportunity not to be missed as curry always comes before cricket (apart from in the dictionary!). 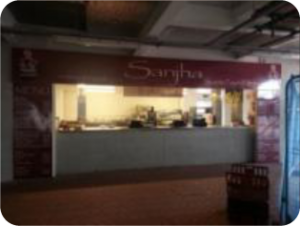 Our first serving of curry during cricket season in May to Sept 2015, during the Camberley branch was under construction. Our food court is an excellent stop before, during and after the games. This is where we also held our first cookery class! 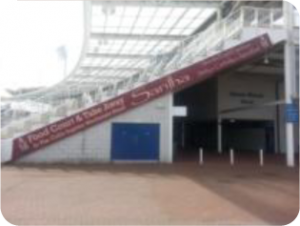 And or final change to this was in July 2016 where we turned this food court into a takeaway during non cricket days to serve the local resident in and around the cricket ground. There are some occasions where plated meals are perfect for your formal gathering. Burgers & chips simply will not do, & the food you eat should be representative of the event. This is why Sanjha provide the best dinner party catering Hampshire has to offer. We have pleased all of our customers, & we want to please you too. We offer a traditional alternate dining service that is a popular pick for all formal events, such as weddings or a dinner party anywhere in Hampshire. We aim to provide exceptional meals, with a premium catering service. This allows you to sit back with piece of mind that your event is well looked after, allowing you to enjoy the perks along with your guests. Our plated packages can be inclusive of fabulous chefs to cook your mouth watering meal, wait staff to serve your guests, porcelain plates, polished stainless steel cutlery, service ware and all the equipment you require. When you hear the words “all you can eat”, no one can help but want to drool & get hungry all of a sudden. We have seen the look on people’s faces when they are in awe of all the food in store for them many times, and we never get tired of it. Our buffet catering will fill you & your guest’s right up. Our chefs & staff will put on a tantalizing display in front of you & your guests. Our Southampton based team of chefs use only the freshest ingredients & butcher all our meats, go to market for specialty seafood, prepare all sides & menu items. Our buffet catering is a great, casual way to entertain whilst you mingle with friends or even corporate clients. Once your mouth watering package is cooked to perfection, you will be invited to dine with the buffet in beautiful polished stainless steel bain marees. These keep the menu items at optimal temperature. Your chosen selection of hot & cool sides are then complimented aside the main buffet with sauces and condiments alike. It is great entertainment, great food & a day to remember. Want to add a few Canapes? Our Canapés off the Barbeque can be added to your menu. Canapés on arrival is a great idea to welcome your guests. Firstly our staff will circulate the canapés in a sequence, explaining the items, concepts, sauces and garnishes. All of our amazing canapés & menu items are designed & hand made by us. Meaning you will taste & eat great flavor some food. A hot meal delivery service for Hampshire…. 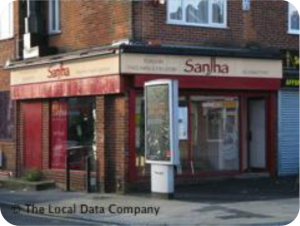 “Sanjha Express” will now deliver hot, ready-made meals Hampshire-wide, with condiments, salads, etc. Unlike our other professional catering services where we supply chefs and wait staff, this service is for delivery only and helps keep your costs down, while maintaining the quality & taste of our gourmet food. We have designed platters that are presented on disposable platters and/or foil trays. When hosting events of any kind, you are bound to have some guests with special dietary requirements. While you may think this can throw a spanner in the works & make catering difficult, Sanjha can remove the hassle by providing excellent vegetarian cuisine so that all your guests can enjoy an excellent feed. Founded by a team of experienced hospitality workers & chefs, our business has grown into an industry leader & takes it as a privilege to host events. We have a delicious selection of specialised alternatives for any guests with dietary requirements. From sensational canapés to succulent mains, our food will have everyone salivating — including those who have no special requirements! Any of these entrees or mains can easily be substituted into your plated menu packages to accommodate & impress your vegetarian guests. All menu items we offer are made by our own professional chefs, so it is easy for our staff to plan & prepare a menu tailored specifically to your needs so you can impress any attending vegetarians. Talk to the team To experience the difference for yourself, call the professionals from Sanjha. We always aspire to do the best we can to make your special day or event as perfect as possible so give us a try and you will not be disappointed. Please feel free to contact us for further information or fill in the form and hand it t any of our branches or email it & we will contact you as soon as possible with any queries you may have.